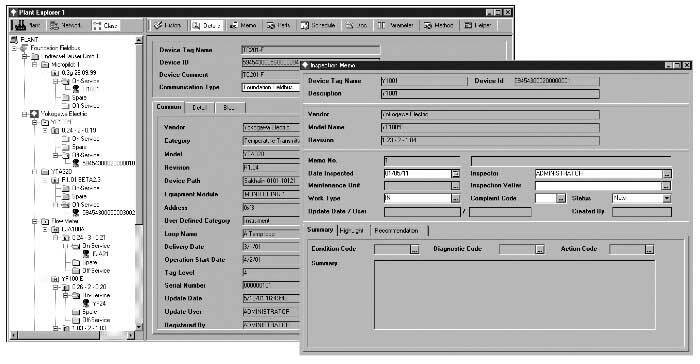 The PRM (Plant Resource Manager) field device management package has been developed to improve the efficiency of maintenance management of field devices. PRM features include the preventive maintenance management of devices that correspond to the digital interactive field network typified by FOUNDATION™ Fieldbus. It corresponds to the diversified maintenance method by classifying and managing device maintenance information such as inspection schedules, inspection memos, and configuration information of devices, in two or more phases. Moreover, operation information on a field device can be easily acquired online via a remote bus and this information can be used for maintenance. This document describes the functions of PRM, and its contribution to the reduction in maintenance costs and the use of field device information for plant operation to decrease the TCO (Total Cost of Ownership). Industrial Automation Systems Business Div. There has been increasing demand for cost reductions and lower-priced products in the manufacturing industry, and maintaining cost competitiveness and achieving optimum costs have become necessary for the survival of manufacturers. This calls for minimizing TCO (Total Cost of Ownership) over the whole life cycle of plants and maximizing TVO (Total Value of Ownership). In particular, maintenance during plant operation forms a major proportion of these costs and thus is a focus of demand for cost reductions. Recently, FOUNDATION™ fieldbus and other bi-directional digital field networks have been commercialized, enabling various kinds of information to be received from field devices online. This has made failure prediction of field devices or preventive maintenance of plants practical. Moreover, in conjunction with centralized control of inspection schedules and inspection memos, and even more careful preventive maintenance, we can expect to be able to improve operating efficiency and reduce maintenance costs. In response to the challenge to reduce maintenance costs of field devices, we have developed the PRM field device management package based on the following concepts. This entails improving the work efficiency of maintenance management by linking online functions with maintenance information management. The online functions listed below are critical to making remote diagnosis possible. This requires the provision of effective operations for such advanced functions of field devices as multi-sensor and remote adjustment functions. This necessitates the provision of a mechanism that facilitates information sharing between the field domains and the upper domains (MES [Manufacturing Execution Systems] and business domains), which will contribute to the improvement of management efficiency. This document describes the features of PRM designed to help reduce TCO for plant operation, and the future prospects for use of PRM. 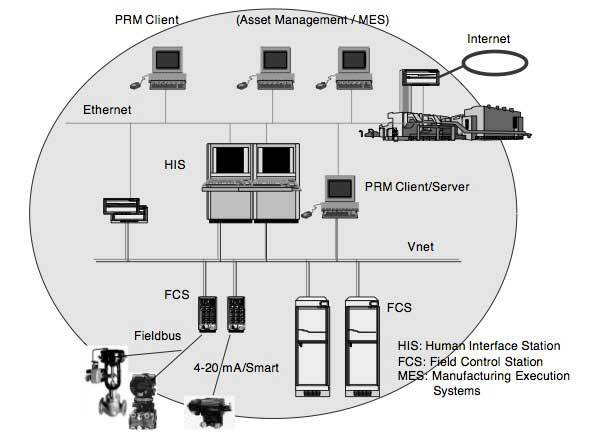 Figure 1 shows the PRM's place in plant operation and the following describes the PRM features on a system. PRM adopts a client/server configuration. It has enough flexibility to allow you to start with one client personal computer and then add more clients in line with increases in the number of devices as the scale of the system is expanded. Since the clients and server are connected through Ethernet, maintenance information, device information, and device data can be referred to from remote locations. PRM adopts Oracle Corporation's database for storing maintenance information and device information, which has an excellent reputation for reliability and is a large- capacity database that can operate 24 hours continuously. PRM supports the following and other instrumentation devices. The PRM functions depend on the capabili- ties of managed devices, especially the availability and level of field communication capability. FOUNDATION™ fieldbus devices offer the utmost improvement in maintenance efficiency. However, as PRM allows integrated management of devices situated in various locations of a plant, you can set up an optimum maintenance plan for other devices as well, even if they are not equipped with field communication capability. Figure 2 shows examples of maintenance information display (screen of detailed device information and device inspection memo screen). PRM offers the following functions to perform maintenance work effectively. The following sections explain these functions in detail. Table 1 lists the maintenance information which PRM can manage. Information can be easily retrieved because they are assigned to a Device ID and associated to each other. With historical information, a history of items that can affect devices, such as device settings/adjustments and other operation history and events from the devices or inspection memos, can be kept in the database. Who did the operation or what for can also be recorded together with data. PRM notably considers not only data recording but also data stability so as to retrieve old operation parameters easily and safely using the parameter comparison function. 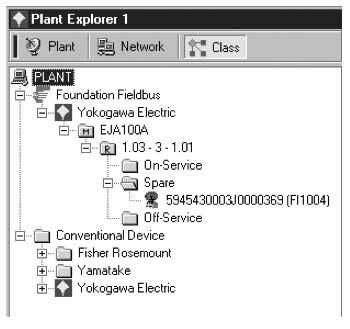 Plant View Displays devices according to a logical arrangement (plant hierarchy) inside a plant. Can classify devices into in service, spare, and failed, and then display them depending on the use status. Network View Displays devices along with the wiring status of the field network according to the network configuration. Class View Displays devices in types (e.g., vendor, device type, and revision). Class View is ideal for the control of spare devices. To intelligibly obtain necessary information from many devices, PRM uses the plant explorer described in Table 2. There are from several tens to thousands of devices in a plant depending on its scale, as well as spare devices, devices being inspected, or defective devices other than those in actual operation. The plant explorer makes it easy to identify devices. Figure 3 shows an example of device configuration display through Network View. Remote monitoring of device statuses allows you to verify a device status immediately after occurrence of a failure and reduce on-site monitoring work. • Can verify a device status (ready/not ready) as well as device parameters when an error occurs. • Can verify device error information with an alarm event that is notified by the device and corresponds to respective error. These functions enable you to retrieve information such as those on the degree of influence of the device failure on plant operation, countermeasures, defective parts to replace, and the availability of replacement devices. PRM incorporates the following remote calibration functions for FOUNDATION™ fieldbus devices. Diagnosis of valves is particularly important compared to that of other field devices as valves directly act on a process. Advanced valve positioners have made highly accurate valve diagnosis possible. PRM is equipped with the helper package offering a special diagnosis function for each device, thus providing an operating environment for diagnostic programs using tools prepared for each device. This allows for optimum diagnosis of devices and integrated control of historical data including diagnosis start and exit. Statistical preventive maintenance of a valve can be realized by acquiring and accumulating valve information. Statistical preventive maintenance can contribute to not only effective maintenance work, but also higher availability of plant operation by extending the inspection period. Better still, accumulated information can lead to more appropriate adjustments, thus improving valve accuracy. As the valve acts on the process quantities, improvement of its accuracy can enhance quality and yield. Managing the results of maintenance inspection work as a work record provides a useful information source for future reference. The device information acquired online can be effectively used for creating a device inspection memo. With PRM, we have placed priority on the following. The inspection memo must be created according to the maintenance schedule, and the inspection work status must be explicitly shown by means of the function for approving the completion of work. The device information and inspection memo must be printed in uniform format (self-documentation function). Furthermore, it is desirable that PRM has a function for maintenance personnel, which automatically generates a work report or assists in reporting. This function leaves room for future study, because if PRM could run in conjunction with E-mail and the World Wide Web, it would be able to help effectively process business affairs regarding maintenance work reporting within a manufacturing company. An environment has been created in which business information in the business domain can be accessed through an intranet or the Internet. The gap between the business domain and control domain can be bridged by connecting to an open network via TCP/IP, and information can be shared by way of OPC (OLE for Process Control) or the World Wide Web. 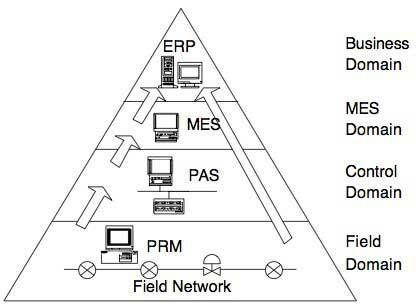 It is PRM that allows field information to be accessed by connecting the field domain to the business and control domains. PRM can not only serve as a medium between a field network and upper networks, but can also supply the field information obtained through the field network in a meaningful format. Figure 4 shows domain configuration and the following examples of its use. Supplies device setting information from PRM to the production control department (link to information on manufactured products and their quality). Supplies parts information from PRM to the facility control department (link to purchasing information including delivery dates, and purchasing work and plans). Supplies device diagnosis information from PRM to the facility control department (link to plant inspection and production schedules). Only by connecting the field domain and control domain to the business domain can we consummate seamless information sharing, ranging from offices to factories, for manufactures. We are confident that the establishment of a supply chain through information sharing can optimize and speed up enterprise activities. We have described the PRM features which are key to effective maintenance work. The IT (Information Technology) wave has transformed the methods of conducting business in all industries. PRM is a platform for making good use of information obtained through the field network, and we expect that it will contribute to realizing the most suitable form of maintenance, as well as effective plant operation, operation planning, and improvements in work incorporating devices. We believe that PRM is a powerful tool for minimizing TCO as the key component for plant operation and maintenance. The product names appearing in this document are trademarks or registered trademarks of their respective holders.